Discover our luxury collection of truffle-based products. Enrich any meal with one or more of this products. Cook a tasteful dinner to pair with your wine. 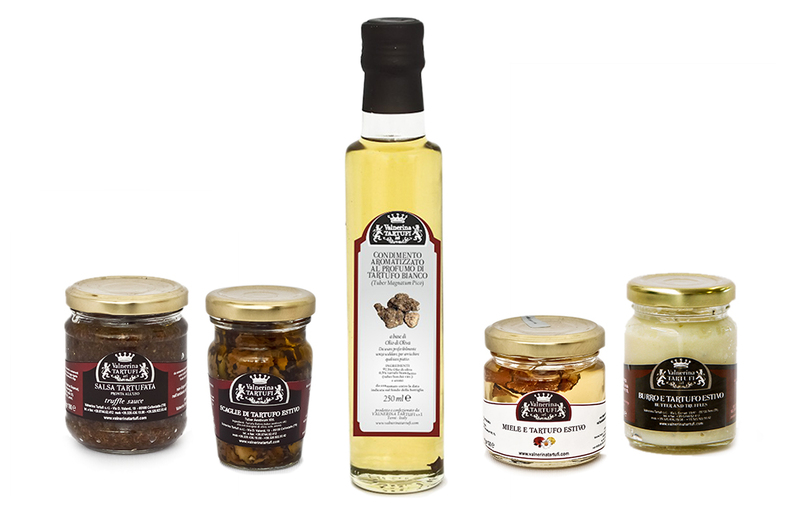 We add truffle combo products on pasta, risotto, eggs, meat, bread, cheese and more. Pair cheese with our Truffle Honey at the end of your meal. That’s the cherry on the top! 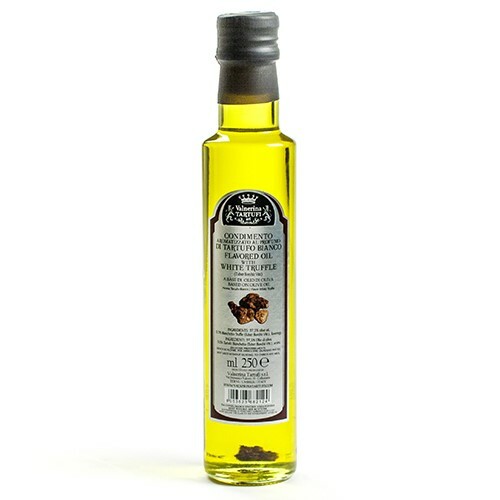 The white truffle flavored oil is a condiment based on olive oil, white truffle aroma and dehydrated Bianchetto truffle (Tuber Borchii Vitt.). You can use it fresh to dress salads, soups, bruschette, pasta, meat and fish, just a few drops are enough. This is a handicraft and italian product. 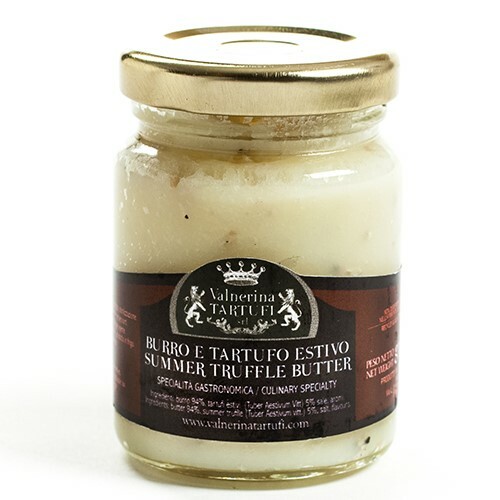 The summer truffle butter is prepared with a prized butter combined with summer truffle 5% (Tuber Aestivum Vitt. ), salt and black truffle aroma. Very good on risotti, meat, eggs, fish and bruschetta. The black truffle honey is prepared with acacia honey that is the most precious one, both for its organoleptic characteristics and for its physical faculties; thanks to these qualities its consistency and colour don’t change over time. 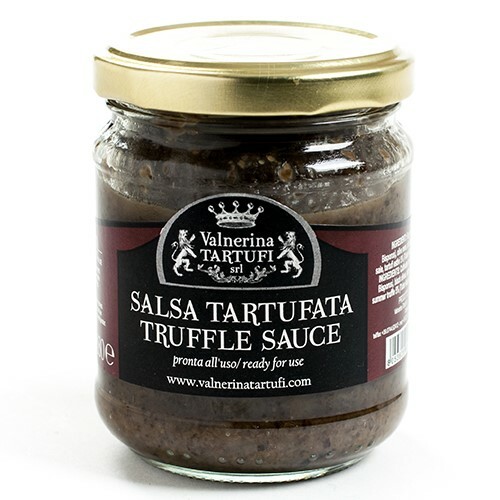 Its sweet tast and its fluid consistency go with the summer truffle (Tuber Aestivum Vitt.) 1% so creating a unique taste in its kind. You can use it with Ricotta and cacao, with ice cream, with creams or with pecorino or caciotta cheeese, according to your preferences or simply with toasted bread. 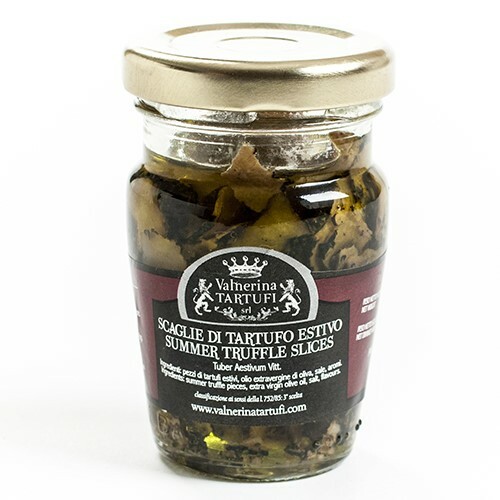 Our truffle sauce is a delicious preparation containing fresh champignon mushrooms Agaricus Bisporus, extra virgin olive oil, black olives, summer truffle, salt and flavorings. It’s ready for use, if you want to enhance its taste you can saute some garlic and oil, let it cool and then pour the product contained in the jar. You can use it on bruschetta, pasta, meat or fish. If you want you can even add some fresh cooking cream. Recommended quantity per person: 30gr. This is a handicraft and italian product and it doesn’t contain preservatives or colourings. The summer truffle, commonly called scorzone (Tuber Aestivum Vitt.) is the most common truffle on our tables, especially because of the value for money. 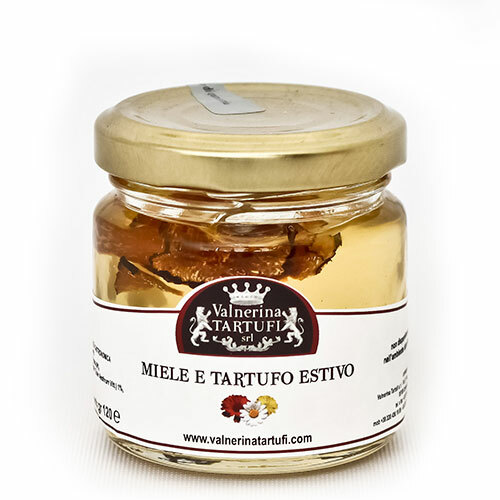 In the jar you’ll find the truffle slices preserved in extra virgin olive oil and salt. Ready for use, if you want to enhance its taste you can saute some garlic and oil, let it cool and then pour the product contained in the jar. Very good on bruschette, pasta, meat and fish. You can even add some drops of truffle flavored oil. Recommended quantity per person: 15gr. This is a handicraft and italian product and it doesn’t contain preservatives or colorings. CHERIO Holding & Trading Company Inc.